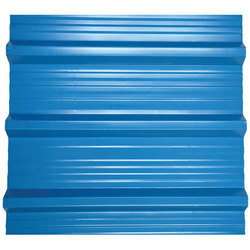 Pennar manufactures a wide range of Roofing Sheets that are offered in a variety of colours and thickness. Aesthetically pleasing, highly durable and meticulously built, Pennar Roofing Sheets are manufactured in our world class forming mill, dedicated exclusively for Roofing Sheets. Kartikeya manufactures and supplies Trapezoidal Profiled Roofing sheets in Bare Galvalume / Colour Coated Galvalume / Colour Coated Galvanized Steel with thickness ranging from 0.47mm to 0.6 mm. Profiles are supplied in exact cut to length up to 12 meters as per customer's requirement. Pinkoos offers a variety of profiles, base metals, metal substrates and coatings for its panels. 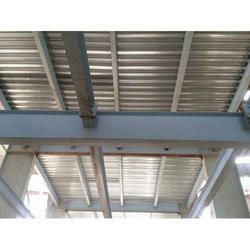 The metal skins are used as roof and wall panels, interior roof and wall liners, partition panels, soffit panels, etc. United PEB Solutions Pvt. Ltd.